♬Liner Notes♬: It's Record Store Day 2014 and I hope you went out to your local purveyor of sounds, but if you stayed inside I've got new music for you anyway... A great batch of eclectic music from Tensnake, Wild Ones, Craft Spells, Cloud Nothings, Kaiser Chiefs and much more! Note: "Timber Timbre’s Taylor Kirk belongs to that long list of Canadian songwriters who have mastered the sound and feel of Americana despite living north of the border. His group’s fifth album, titled Hot Dreams, does American better than most American contemporaries can... They’ve toured with Laura Marling and fellow Canadian Feist, and in 2011, their album Creep On Creepin’ On was shortlisted for Canada’s prestigious Polaris Prize (Arcade Fire’s The Suburbs beat it out). Even with the added attention, Timber Timbre keep doing their thing. Hot Dreams subtly refines their sound, and on standout “Curtains! ?”, the group adds a driving beat to go with their spaghetti western spookiness." Note: "AJ Davila may be better known to the casual bystander as the frontman of Dávila 666, the Puerto Rico garage rock band whose stateside appreciation pales in comparison to that they deserve... Davila’s solo effort, Terror/Amor, doesn’t lose any punch with loss of numbers — the record is solid gold... “Salvajes”, is a blistering kick in the face to start off the record. The track has heavy surf rock vibes to balance out Dávila’s wanton aggression. The crunchy drums are only out-noised by Davila’s guitars, heavy on the power chords and distortion, all combining to provide a lovable, fuzzy foundation for the powerful vocals... the track reaches levels of spontaneous combustion." Note: "Kaiser Chiefs were recently on World Cafe with David Dye. During their session...they performed songs from their recently released album Education, Education, Education and War, as well as “I Predict A Riot” from their 2005 debut, Employment." We had a new track from the Leeds UK boys that didn't make the cut last week, but this is the one I always loved the most. Note: "One word to sum up Band Of Skulls' third album 'Himalayan'? It has to be 'epic'. Expect trademark sharp and catchy melodies propelled by soaring guitar riffs and euphoric choruses with Russell Marsden and Emma Richardson's exquisite harmonies. The album's produced by Nick Launay (Yeah Yeah Yeah’s, Arcade Fire, Grinderman)..."
Note: "An eclectic mixed bag of pop and rock, Spottiswoode & His Enemies recently released their sixth studio album, English Dream. The New York based band, fronted by Jonathan Spottiswoode, has been together since the late Nineties. A fixture of the New York music scene, they released their debut album, Ugly Love, in 1998. The band’s sound is strewn with ballads, flourishes of jazz and gospel touches that make for a hard-to-describe yet engaging musical experience. “No Time For Love” is the kind of piano driven pop song that sounds like something of a deep track from a Randy Newman or Ben Folds album, with a catchy chorus and sentiment." Note: "Woods started out as a bedroom recording project for Jeremy Earl and Jarvis Taveniere, and their early releases tended to skew towards noisy jams and experiments. But underneath the tape hiss were some seriously catchy songs, informed as much by the Grateful Dead and Neil Young as much as the Brooklyn punk scene Woods grew up in... They’ve relocated their studio to upstate New York, and the rural pace suits them just fine. “Leaves Like Glass” lopes along at countrified speed, mixing in organ and psych-folk guitars with Woods’ sun-filled harmonies. It’s the sound of a veteran band getting better and better with every release." "I'm Not Part Of Me"
Note: "The word "maturation" and the word "punk" don't often coexist easily: For a band like Cleveland's , whose sloppily aggressive songs channel slackerdom and frustration, growing up would seem antithetical to its mission. But the group's third album, Here and Nowhere Else, threads the needle just right, tightening and brightening Cloud Nothings' sound in ways that never numb its blistering, careening forcefulness." Note: "Don’t let the acoustic instruments and copious mustaches fool you. While rousing folk-pop has had its moment in the sun thanks to Mumford & Sons and the Lumineers, [Columbus'] Saintseneca cut a far darker path... The band stopped by Studio 1A recently, and one of the highlights from the live performance was “Blood Bath.” What starts out as an acoustic lullaby soon lives up to its name, thanks to guitar feedback and a driving beat on the back half of the song. It grabs your attention–a trick Saintseneca is honing into a formidable weapon." Two Ohio bands in one episode? Note: Making her fourth appearance on PUTV! "The first album from Australian singer/songwriter Courtney Barnett isn't a traditional full-length... There is of course more to Barnett than her storytelling, and the churning melodies of "History Eraser" and the excitable "David" both indulge in a few organ blasts, piano twinkles, and rambling riffs that flare into the odd guitar solo." Note: Making their second appearance on PUTV since Episode036, the Canadian collective is back with their sixth album. "Souljazz Orchestra deliver a truly genre-bending, international music juggernaut in Inner Fire. It encompasses touches of soul, Latin, Afro, and of course jazz, among others... The Latin-soul groove of “One Life to Live” definitely highlights the cut. An electrifying flute solo (Zakari Frantz) doesn’t hurt the cause either, definitely part of the Latin-jazz idiom. The vocals—simple iterations of “one life to live”—are reggae-oriented, truly flaunting the eclectic, international vibe of Souljazz Orchestra." 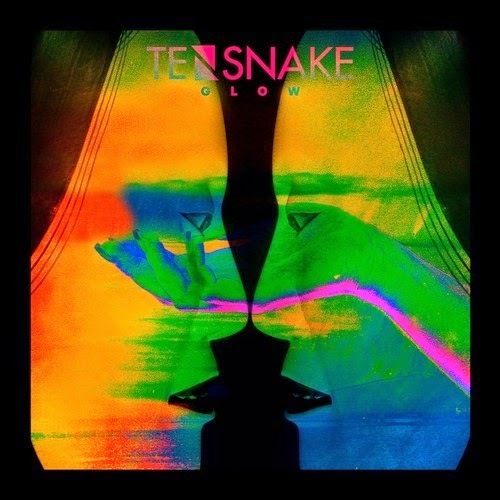 Note: "Hamburg-based DJ Tensnake has released his highly-anticipated debut album, Glow, and the track "Pressure" is a notable highlight." "In 2010 he released the Coma Cat EP... The EP's title track was licensed for release by Defected in the United Kingdom and after it became a hit, the producer's remix work picked up considerably. Tensnake remixes of Aloe Blacc (2010's "I Need a Dollar"), Lana Del Rey (2012's "National Anthem"), and the Pet Shop Boys (2013's "Thursday") followed... his debut album, Glow, which was released in 2014 with guest appearances from Stuart Price, Jamie Lidell, and Nile Rodgers." Note: "If there’s a band more explosively singular in the Pacific Northwest than Kithkin, then the Cascadian “treepunk” quartet are just doing a better job of spreading their gospel of percussive, visceral rock... “Altered Beast” is a huge leap forward for Kithkin, primarily because more than anything else in their catalog to date, it captures the tension of inner desires and shouts it zealously from the Cascadian mountaintops." We last heard from Kithkin on Episode059 with their track, "Fallen Giants". If you want to feel old, check out this video of kids trying to figure out how to work a Walkman. How @Pharrell's '#Happy' Video Owes a Lot to an Uncredited Indie Film Featuring @GirlTalk's "All Day"